The interest rate for a 30-year fixed-rate mortgage (FRM) loan reached a seven-year high after climbing 11 basis points over the past week, according to the latest Primary Mortgage Market Survey  from Freddie Mac . The popular 30-year FRM was not the only loan category to experience rising rates last week, according to Freddie Mac. 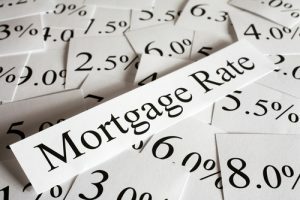 Released Thursday, the survey  revealed interest rate increases for the three major types of mortgage loans–30-year fixed-rate loans, 15-year fixed-rate loans, and 5-year Treasury-indexed hybrid adjustable-rate mortgages (ARMs)–over the week and over the year for the week ending November 8, 2018. Sam Khater, Chief Economist at Freddie Mac attributed the jump in rates to “strong business activity and growth in employment” alongside “resilience” in the economy. “Higher mortgage rates have led to a slowdown in national home price growth, but the price deceleration has been primarily concentrated in affluent coastal markets such as California and the state of Washington,” Khater said. “The more affordable interior markets–which have not yet experienced a slowdown home price growth–may see price growth start to moderate and affordability squeezed if mortgage rates continue to march higher,” he added. Meanwhile, the 30-year FRM rate sits at 4.94 percent as of last week with an average 0.5 point. This is up from 4.83 percent a week earlier and up more than one percentage point from 3.90 percent during the same week last year. The average rate for a 15-year ARM last week was 4.33 percent with an average 0.5 point. This is up from 4.23 percent a week earlier and 3.24 percent in the same week last year. The rate for a 5-year Treasury-indexed ARM was 4.14 percent with an average 0.3 point over the past week. A week earlier a 5-year ARM came with an average 4.04 percent, and a year ago the rate was 3.22 percent.